Luigi Kasimir (1881 - 1962). 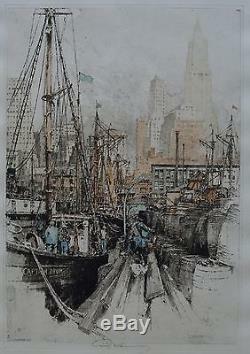 Luigi Kasimir (1881 - 1962) "New York's, Fulton Fish Market" Etching, Hand Colored 14 1/4 x 19 3/4 inches Signed: :Luigi Kasimir (bottom center) 1930's. Luigi Kasimir is an incredibly well known artists and has been very prominent in the American art market for over 40 years. He was born in Pettau in Germany in 1881 and died 1962 in Vienna Austria. Luigi had art in his blood as his grandfather was a poet and artist, also his dad was an artist post his military career. 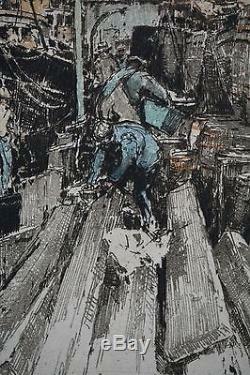 Luigi went to the Vienna Academy of Art studying under William Unger who first introduced him to the etching process. He was a pioneer in the process of color etchings because they were all done by hand after the impression leaving a "sloppy" look, Luigi placed the color first on the plate, so when it was impressed it would already have the color. This eliminated the post impression hand coloring and offered a more natural clean look. Since then Luigi has become a world renowned artist and his pieces sit in countless museums and galleries around the world. He is famous for piece from the Vienna Opera House, to New York's sky scrappers, and even the landscapes of Yosemite National Park. 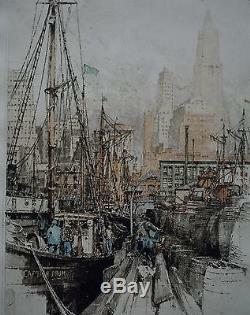 "New Yorks, Fulton's Fish Market" is one of the few rare American cityscapes that Kasimir completed during his stay in the United States in the 1930's. 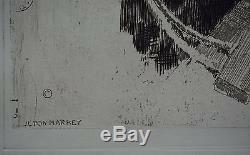 This is an original hand colored etching on hand wove cream paper measuring 14 1/4 x 19 3/4 inches and signed "Luigi Kasimir" on the bottom center. 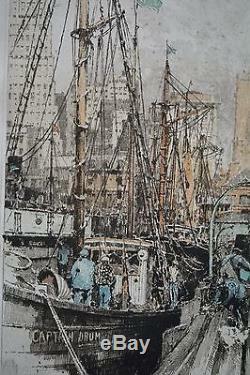 This etching has its original bright colors and a clear, crisp impression is in absolutely MINT condition! 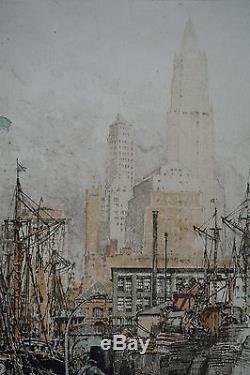 This etching hase never been framed and or displayed and has been in a private collection for the last few decades. 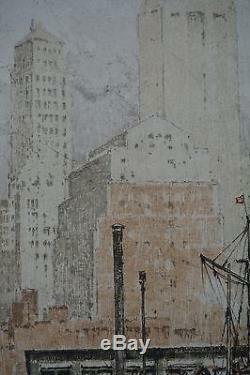 The etchings paper is in perfect condition with no tears, rips, creases, foxing or toning of any kind. Luigi's American etchings are of his most desirable and this is a good example, and one that is never seen in such mint condition! The details in the city are just wonderful and incredible to think about the time and effort put into creating these scenes using an etching process on a copper plate. This print does not come framed. 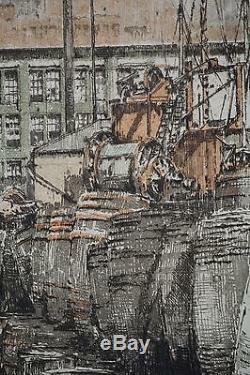 Visit our online gallery from home at Henningfineart. We specialize in fine art from the Renaissance to Modern and even offer appraisal services on our website. With hundreds of happy customers over the last few years we guarantee your satisfaction with superior customer service and experience. 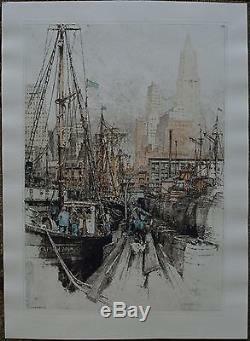 The item "Luigi Kasimir Etching of New York's Fulton Fish Market STUNNING ORIGINAL, MINT" is in sale since Sunday, January 17, 2016. 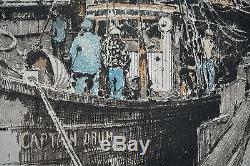 This item is in the category "Art\Art from Dealers & Resellers\Prints". 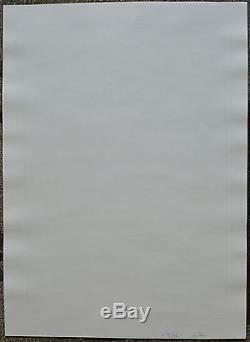 The seller is "henningfineart" and is located in Orlando, Florida. This item can be shipped to United States, to Canada, to United Kingdom, DK, RO, SK, BG, CZ, FI, HU, LV, LT, MT, EE, to Australia, GR, PT, CY, SI, to Japan, to China, SE, KR, ID, ZA, to Belgium, to France, to Hong Kong, to Ireland, to Netherlands, PL, to Spain, to Italy, to Germany, to Austria, IL, to Mexico, to New Zealand, SG, to Switzerland, NO, SA, AE, QA, KW, BH, HR, MY, TR, BR, CO, PA, JM.